Maybe the prophet Samuel should have called it “Who Moved My Cheese Cake?” since it describes the journey of four characters, Naomi, Ruth, Orpah and Boaz and their epic transformations following obstacles that tested faith, logic and emotions. In my book, Ruth Talk: Questions and Answers on the Book of Ruth, (Jonathan David Publisher 2005) I explore this powerful account of self-transformation in an easy-to-read Q & A format with lessons of kindness, humility, choices and revelations that inspire us to improve our lives and the world in which we live. Naomi was a dutiful and spiritual wife to the wealthy and respected Elimelech, and enjoyed a sumptuous life in the Bethlehem until a terrible famine strikes there. Elimelech, like the character Haw in Dr. Johnson’s book, sees the writing on the wall, anticipates change and decides to bail on his country and fellow Jews, before he loses his fortune. He moves his family, Naomi and two teenage sons, Machon and Chilion, to Moab, among the sworn enemies of the Israelites. What should be the beginning of a new prosperous life, turns out literally and symbolically to be exactly the opposite. In a Trump-like business arrangement between Elimelech and the King, the two sons marry the king’s daughters, Ruth and Orpah, even though marrying Moabite women was in defiance of Israelite law. Naomi didn’t protest, but she remained steadfast to the Jewish laws throughout the exile and taught her ways to the daughter-in-laws. Within 10 years, Elimelech loses his fortune, then, loses his life. Both sons also die, penniless and childless, leaving three destitute women, Naomi, Ruth and Orpah. Naomi, the survivalist, swallows her pride, knowingly faces the fears and ridicule of those she had forsaken during the famine, decides to return to the now prosperous Bethlehem. She tries to dissuade the two sisters from joining her, but her devoted daughter-in-law Ruth insists “ for wherever you go, I will go, and wherever you sleep, I will sleep. Your nation is my nation, and your G-d, my G-d. Where you die, I will die, and there I will be buried. So will G-d do to me and so He will add (I swear) that only death will separate between us." She and Ruth return to Bethlehem to face their fate together. Orpah, best symbolized by one of the simple mice in Dr. Johnson’s version, leaves the house of her wealthy father to marry Chilion, the younger son of Naomi and Elimelech. Anticipating a posh life of wealth, instead winds up widowed and penniless. When Naomi decides to return to Bethlehem and insists that the sisters remain in their homeland, and not have to endure more “bitterness,” Orpah gives a semi-heart felt plea but easily relents and turns away from Naomi with a kiss goodbye, while Ruth clings to Naomi. Orpah, in contrast to Ruth’s noble character, is described as promiscuous, and enters a wanton relationship that results in the birth of the giant Goliath, who would eventually be taken down by a stone and beheaded by David, the great-grandson of Ruth, and the future King of Israel. Boaz was the elder and kindly relative of Elimelech. Maybe Boaz can best be described as someone who “Smelled the cheese often so you know when it is getting old.” Boaz could easily have rejected the returning Naomi, chastising her for abandoning her people. Instead he comforts her and her young daughter-in-law Ruth, allowing Ruth to gather limitless sheaves of barley in his abundant fields and then helping her reclaim Elimelech’s land. He prevents another bidder from buying the property, stating that the buyer must also marry the widowed Ruth, putting a kibosh on the deal. Boaz marries the modest and spiritual Ruth, thereby saving the property and restoring Ruth to her rightful place. As the introductory poem of Dr. Johnson’s book says, “G-d will open a door...that will ultimately prove good for us.” G-d intervened and miraculously rewarded Ruth and the 80+ year old Boaz, with a baby, named Obed. Obed was the father to Yishai (Jesse), who was the father to David, the second King of Israel. It is the kind and modest Ruth that makes the biggest transformation and the longest journey. From the house of King Eglon of Moab, to the destitute widow of the older son Machon, to converting from an idol-worshipper to a Jew, to fulfilling her dream of worshipping the G-d of Naomi’s teachings, to having a son with her second husband, the 80+ year old Boaz, and becoming the great-grandmother to David, the second King of Israel, Ruth went from riches to rags and from rags to riches. No one moved Ruth’s cheesecake! Through her devotion to one G-d, her kindness to her mother-in-law Naomi, her purity of character and purpose, Ruth created her own cheesecake, thereby reaping great rewards. We read the Book of Ruth during Shavuot, because it symbolizes a similar total transformation. Just as the Jews faced the challenges of the Exodus, being ousted from Egypt, having to navigate the desert, blindly accepting to obey the commandments, and finally transforming into a cohesive nation, they also reaped the ultimate reward; the Torah! Just proving that we can have our cheesecake, and eat it, too! Enjoy the change!! Chag Sameach. A Joyous and delicious Shavuot. Rabbi Moshe P. Weisblum, Ph.D, a 14th generation Rabbi, was born in Israel and is the spiritual leader of Congregation Knesseth Israel inAnnapolis, MD. 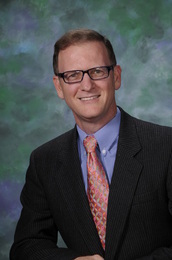 Rabbi Weisblum is the author of several books including Ruth Talk:Questions and Answers on the Book of Ruth andTable Talk: Biblical Question and Answers (Jonathan David Publishers).